Draft: 1998, Arizona Diamondbacks, 4th rd. November 3, 2016 LHP Javier Lopez elected free agency. October 30, 2014 LHP Javier Lopez assigned to Cangrejeros de Santurce. October 30, 2014 Cangrejeros de Santurce placed LHP Javier Lopez on the reserve list. January 4, 2014 Navegantes del Magallanes signed Javier Lopez. 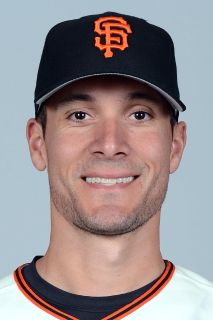 November 26, 2013 San Francisco Giants signed free agent LHP Javier Lopez. October 31, 2013 LHP Javier Lopez assigned to Cangrejeros de Santurce. November 4, 2011 LHP Javier Lopez assigned to Criollos de Caguas. July 31, 2010 Pittsburgh Pirates traded LHP Javier Lopez to San Francisco Giants for RHP Joe Martinez and LF John Bowker. December 18, 2009 Pittsburgh Pirates signed free agent Javier Lopez. October 5, 2009 LHP Javier Lopez elected free agency. June 20, 2009 Pawtucket Red Sox activated LHP Javier Lopez from the 7-day disabled list. May 15, 2009 Boston Red Sox sent LHP Javier Lopez outright to Pawtucket Red Sox. May 10, 2009 Boston Red Sox designated LHP Javier Lopez for assignment.